Today the proliferation of ubiquitous devices interacting with the external environment and connected by means of wired/wireless communication technologies points to the definition of a new vision of ICT called Internet of Things (IoT). In IoT, sensors and actuators, possibly embedded in more powerful devices, such as smartphones, interact with the surrounding environment. They collect information and supply it across networks to platforms where IoT applications are built. IoT services are then made available to final customers through these platforms. Needless to say, IoT scenario revolutionizes the concept of security, which becomes even more critical than before. Security protection must consider millions of devices that are under control of external entities, freshness and integrity of data that are produced by the latter devices, and heterogeneous environments and contexts that co-exist in the same IoT environment. 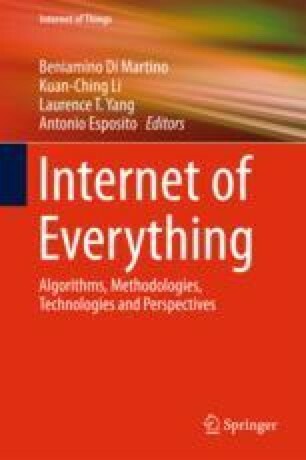 These aspects make the need of a systematic way of assessing the quality and security of IoT systems evident, introducing the need of rethinking existing assurance methods to fit the IoT-based services. In this chapter, we discuss and analyze challenges in the design and development of assurance methods in IoT, focusing on traditional CIA properties, and provide a first process for the development of continuous assurance methods for IoT services. We also design a conceptual framework for IoT security assurance evaluation. This work was partly supported by the program “piano sostegno alla ricerca 2015-17” funded by Università degli Studi di Milano. Ezra Caltum and Ory Segal. SSHowDowN: Exploitation of IoT devices for Launching Mass-Scale Attack Campaigns. https://www.akamai.com/us/en/multimedia/documents/state-of-the-internet/sshowdown-exploitation-of-iot-devices-for-launching-mass-scale-attack-campaigns.pdf. Accessed 11 Oct 2016. US-CERT/NIST. CVE-2004-1653. 2004. https://web.nvd.nist.gov/view/vuln/detail?vulnId=CVE-2004-1653. Aug, 2004. Accessed 11 2016. B. Leukert et al. IoT 2020: Smart and secure IoT platform. IEC 2016. https://www.openstack.org/. IATAC and DACS. 2007. Software security assurance: State of the art report (SOAR). http://www.dtic.mil/cgi-bin/GetTRDoc?Location=U2&doc=GetTRDoc.pdf&AD=ADA472363. Ericsson. 2016. Bootstrapping security-the key to internet of things access authentication and data integrity. Ericsson White paper, 284 23-3284. http://www.ericsson.com/res/docs/whitepapers/wp-iot-security.pdf. International Organization for Standardization (ISO). 2016. ISO/IEC 27001:2013 Information technology–Security techniques–Information security management systems–Requirements. https://www.iso.org/obp/ui/#iso:std:iso-iec:27001:ed-2:v1:en. Accessed 10 2016.